In 1993 I made my first ever trip to England. 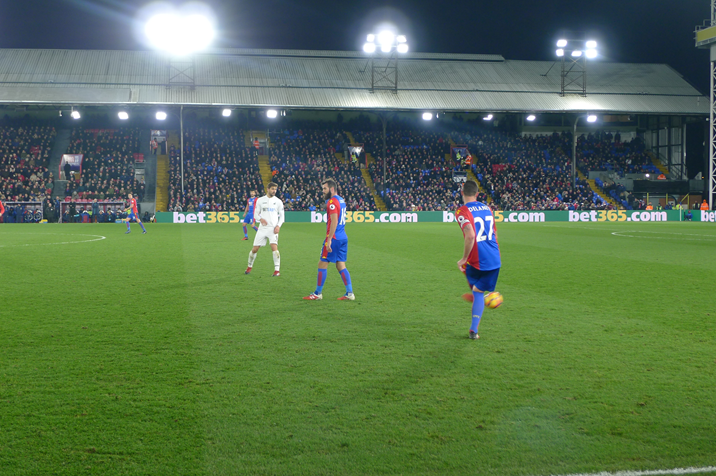 During my week-long stay and I did a lot of sightseeing but I also attended three football matches. 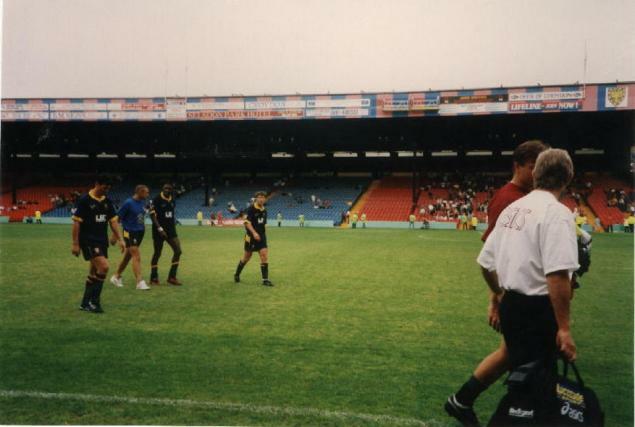 One of the games on that trip was Wimbledon vs Aston Villa at Selhurst Park. 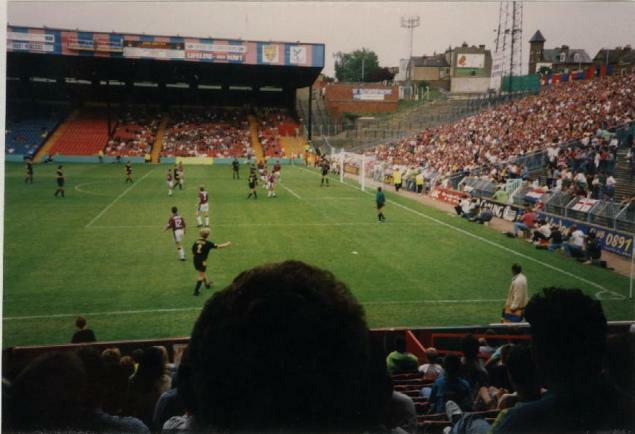 Wimbledon weren´t allowed to play Premiership football at Plough Lane and for a number of years the club shared Selhurst Park with Crystal Palace. 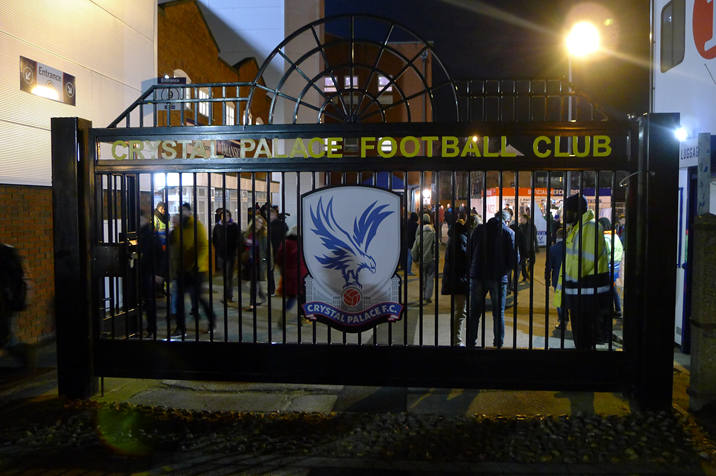 Closing in on the 92 I have for a while wanted to visit Selhurst Park for a Crystal Palace game as well. 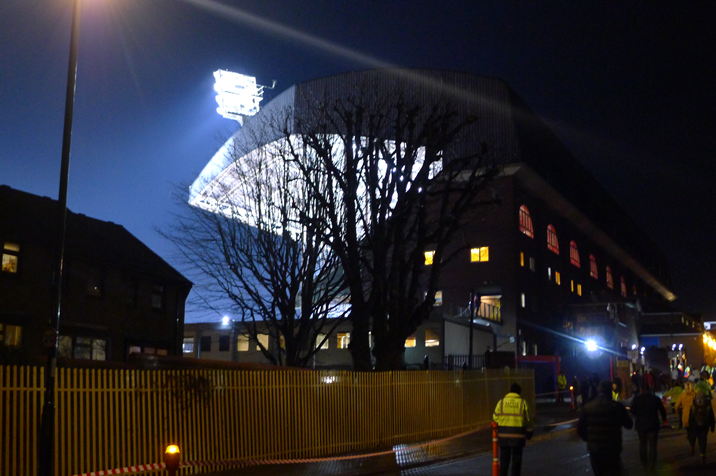 When the game against Swansea was moved to Tuesday evening I finally got the chance to re-visit the ground. Tickets are for members only but once the membership was sorted I had no problems buying three tickets for the Swansea game. In case you wonder how come I bought three tickets, I am a helpful person and I bought tickets for Christian and Magnus as well. Since I was flying home from Heathrow on Wednesday morning I wanted to stay near Paddington (Heathrow Express!) meaning I had to change hotels in London for my last night. Once I had done that I went on a long walk in Kensington Gardens before having lunch and a well-deserved rest in my room. 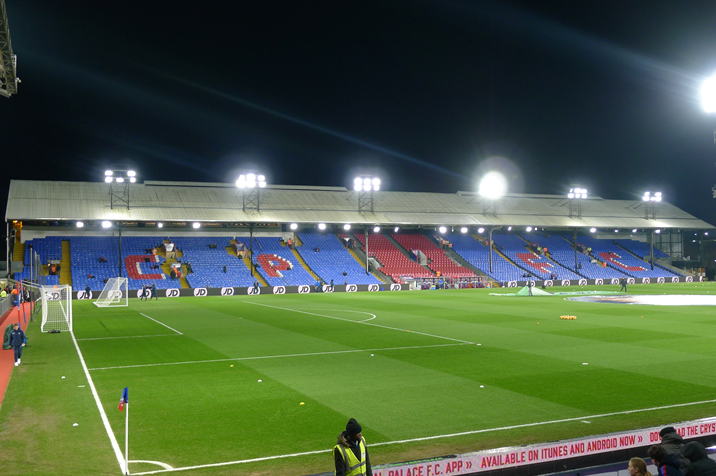 Selhurst Park is situated in southern London and from central London trains to those parts depart from Victoria station. In recent months there have been industrial action on Southern services but this evening no strikes were planned. 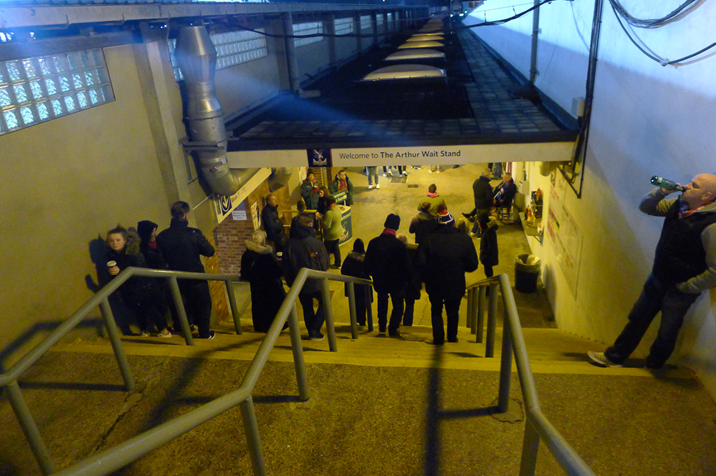 The train was over-crowded and delayed though but I eventually arrived at Selhurst station. 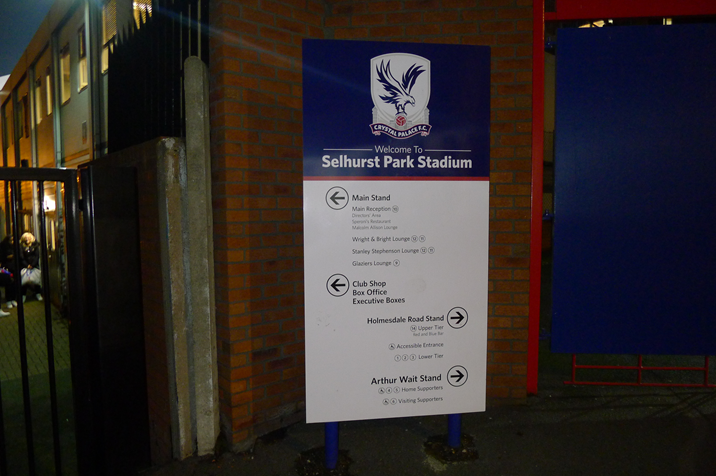 From Selhurst station it only takes around 10 minutes to walk to Selhurst Park. 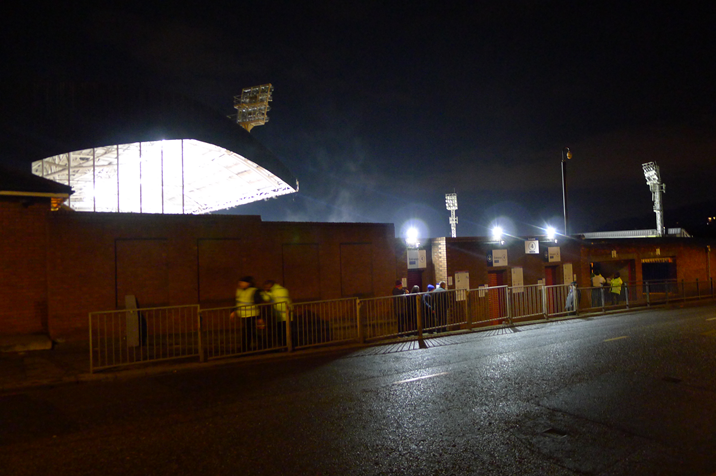 Since you could see the floodlights from the station it was a fairly straightforward walk. 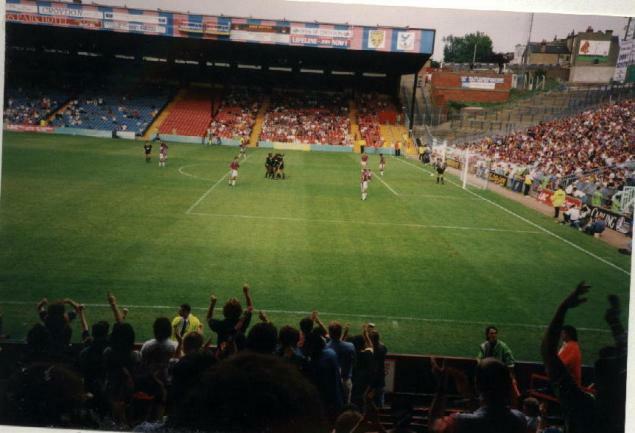 Since my visit 24 years ago only one stand, the Holmesdale Road Stand, has actually been rebuilt. 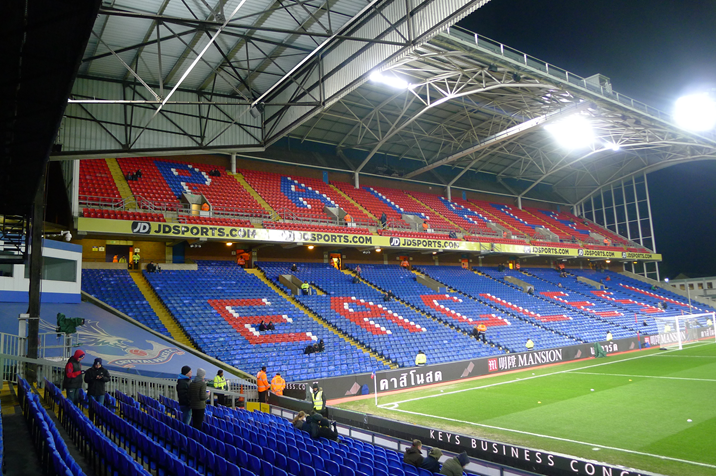 The three other stands have had new seats installed but otherwise they look today as the did back in 1993 and today the capacity at Selhurst Park is just under 26 000. 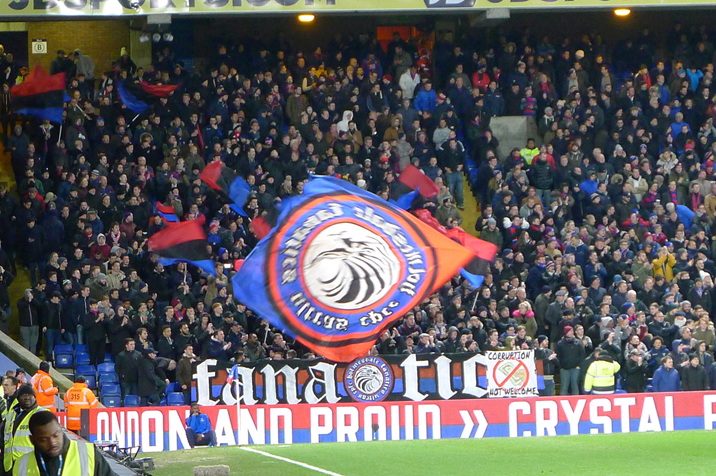 With 20 000 season tickets Crystal Palace more or less fill the ground for every game. 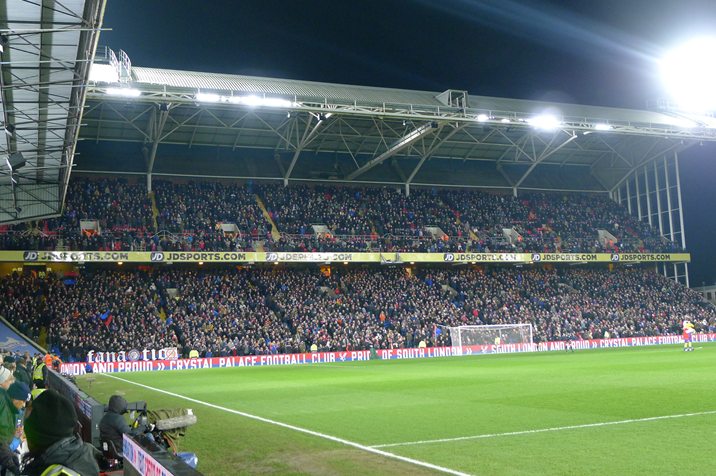 Swansea only brought 1 500 (half their full allocation) to Selhurst Park this evening meaning more home fans than normal could attend this game. My seat was in row 1 of the Arthur Wait Stand and I was (obviously!) really close to the pitch. 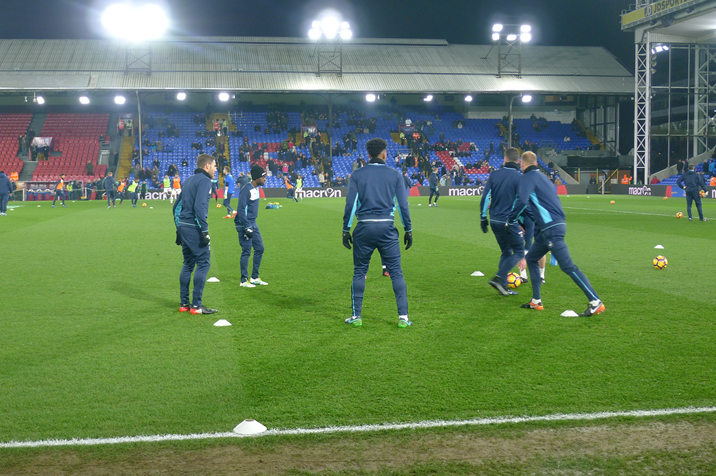 There are plenty of restricted views in the Arthur Wait Stand and even though I would not normally choose to sit in row 1 it was actually a bit interesting to be so close to the action. 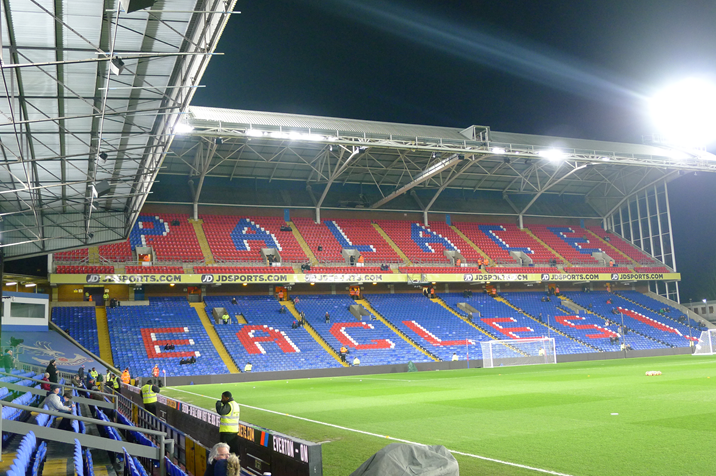 Alan Pardew was sacked a few weeks ago and this was Sam Allardyce first home game in charge of Crystal Palace. 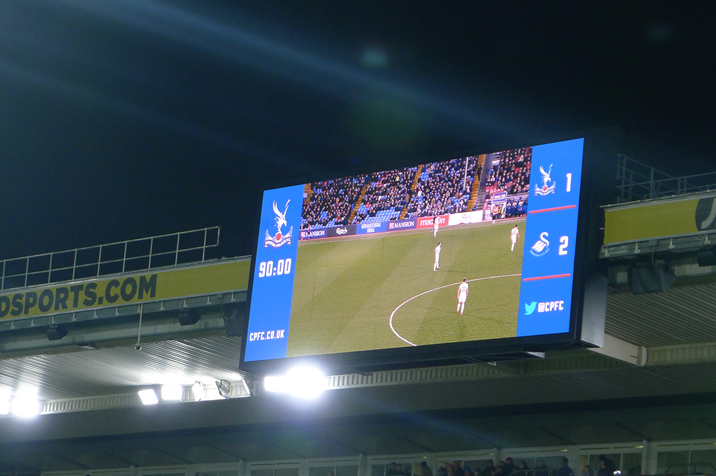 With Palace being fourth from bottom (and Swansea bottom) this was one of those games where three points could really make a difference. Swansea have recently sacked their manager, Bob Bradley, as well and tonight it seemed that sacking was justified. 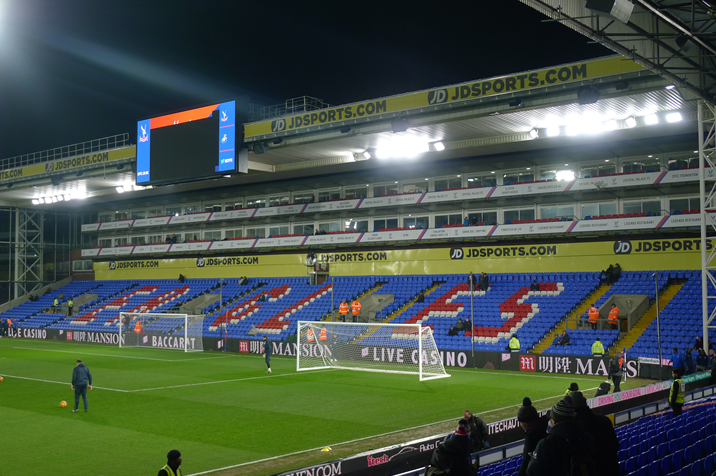 Poor defending from the home team meant Swansea could make it 0-1 in the 43rd minutes. Until then it was an even game with few chances. 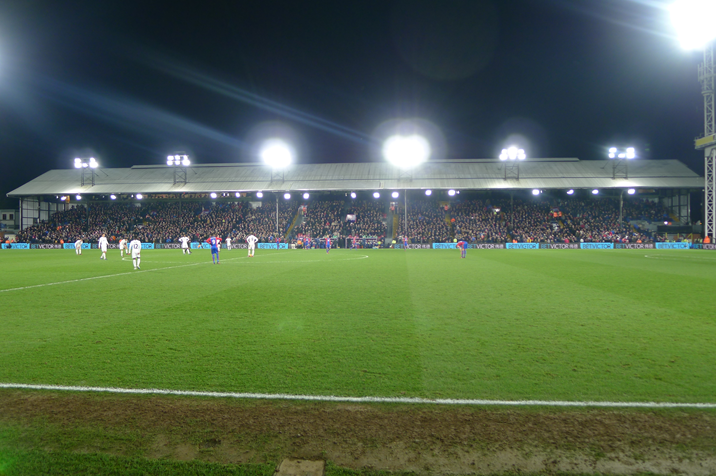 In the second half Crystal Palace attacked and Swansea defended but the home team were toothless and I was convinced the game would end 0-1. 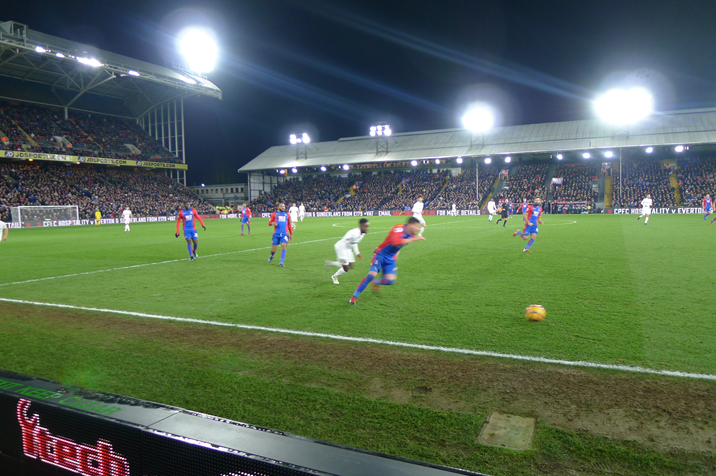 In the 83rd minute Wilfrid Zaha scored a nice goal to make it 1-1 though. After having been defending for the entire half Swansea suddenly created several chances and in the 88th minute they scored again to win the game 2-1. 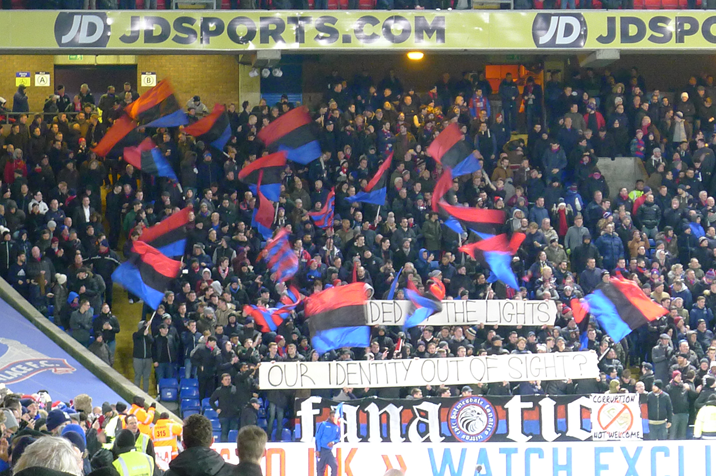 Disappointment for the Crystal Palace fans but the away fans to my right were singing as I left Selhurst Park. At 22.25 I made it onboard a (delayed) train bringing back to Victoria station and 23.15 I was back at my hotel. 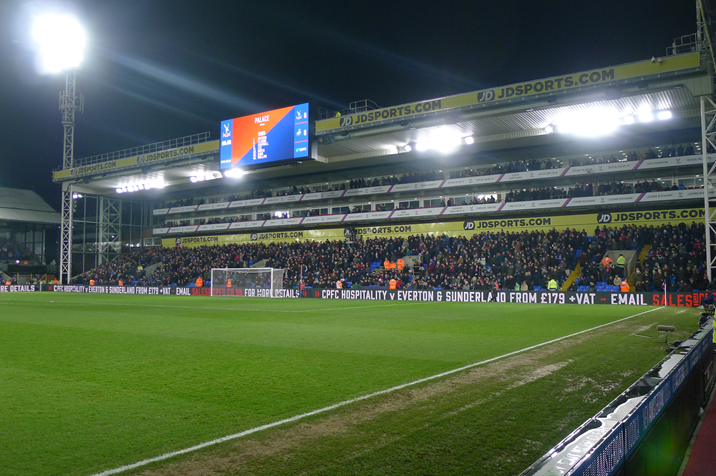 I can look back on a successful trip with no postponed game, always a risk this time of the year in the lower divisions, but above all a a re-completion of the Premiership grounds. Nine grounds left for me to complete the 92 and my plans are to go back to England for the Easter weekend for a few games.